Good news for Fresh Off The Boat fans. With the Asian American family comedy earning solid ratings so far in its sophomore season, the network has officially given the show a back nine order. That means we'll be getting a full season of 22 episodes. (Season one, which was a midseason debut, had only 13 episodes.) That means more Huang family hijinks. 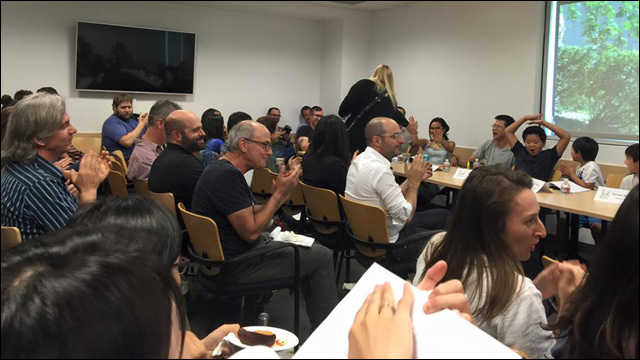 The cast, which includes Randall Park, Constance Wu, Hudson Yang, Forrest Wheeler and Ian Chen, got the news about the full season pickup at Tuesday's table read. 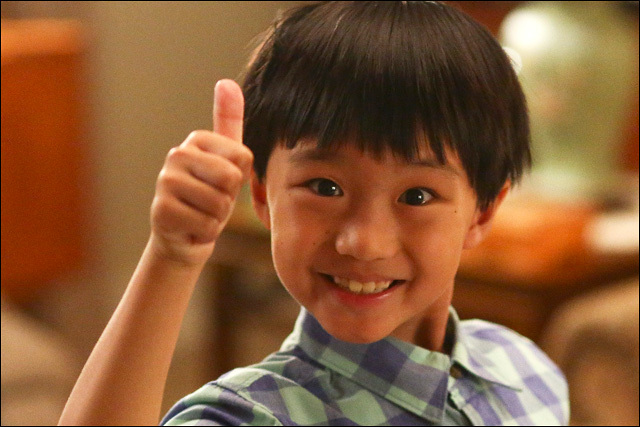 Fresh Off the Boat has been a steady ratings performer this fall. Airing behind The Muppets, Fresh Off the Boat was eclipsed by the flashy newcomer during premiere week, but while The Muppets has steadily declined, Fresh Off the Boat has stayed the course, posting a tenth of a 18-49 rating uptick to 1.8 in Live+Same Day last week to built onto its Muppets lead-in for the first time. That was off only by a tenth from Fresh of the Boat‘s premiere, while The Muppets was down -39%. Congratulations to the Fresh Off The Boat folks. I guess that means we'll be producing more episodes of "Fresh Off The Show," our unofficial online Fresh Off The Boat aftershow, which is always fun.